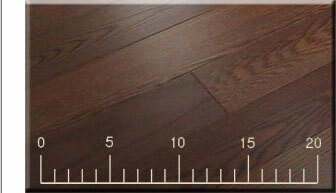 Floors Estimator - How much hardwood flooring will you need? You can estimate how many square feet of hardwood flooring you will need to purchase by using the estimator. 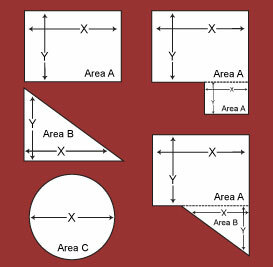 To cover a simple rectangular room, measure from wall to wall in both directions and enter the figures as X and Y for Area A. For an irregular room shape, subdivide the room into individual rectangles and measure each rectangle separately. Then put the measures X and Y of each square room into the fields and choose either add or subtract (depends on your room shape). The same with triangle and circle shaped rooms. Then click the Calculate button to see your footage. Click Reset button to clear results. Please visit our showroom to see our entire hardwood flooring selection.